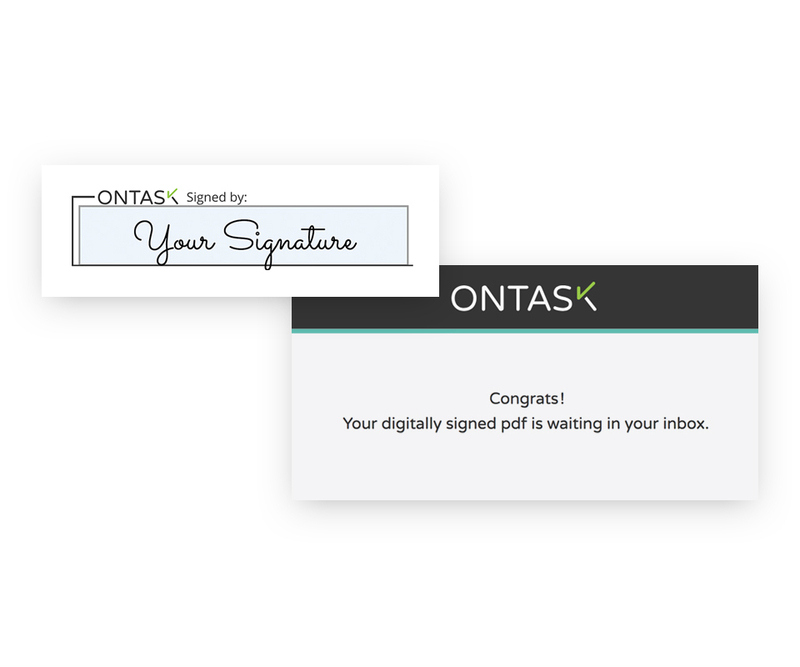 Try our interactive demo to digitally sign and send your documents for free. Expedite negotiation and execution, enabling you to build relationships, close deals, and start producing value faster. Don’t let anything get in the way of closing that exciting new deal. OnTask’s live edit tracking ensures timely compliance with full visibility, audit trails, and automated reminders—all within the application. OnTask allows all stakeholders to follow the contract throughout its entire lifecycle, from creation to final approval. When you’re negotiating and executing contracts seamlessly, you can spend more time and resources on what’s most important to you—your customers. Send documents and collect legally binding signatures in just a few clicks. Say goodbye to printing and scanning, and hello to closing deals with confidence!